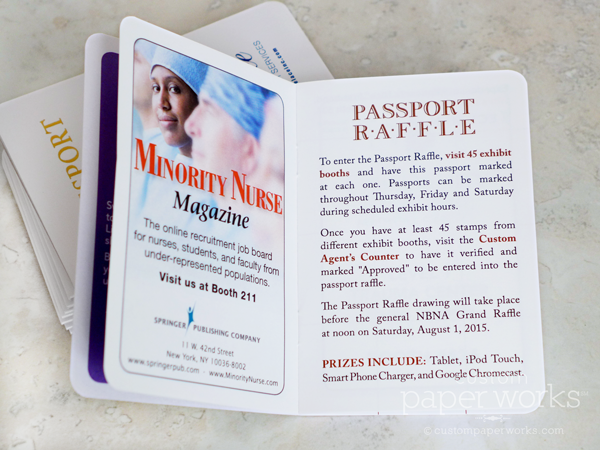 I was excited to have the honor of once again creating Passport Raffle booklets for the National Black Nurses Association Annual Institute & Conference. This year they received a color update as a nod to the Atlanta location – featuring various shades of peach throughout and a bronzy foil imprint on the front cover. 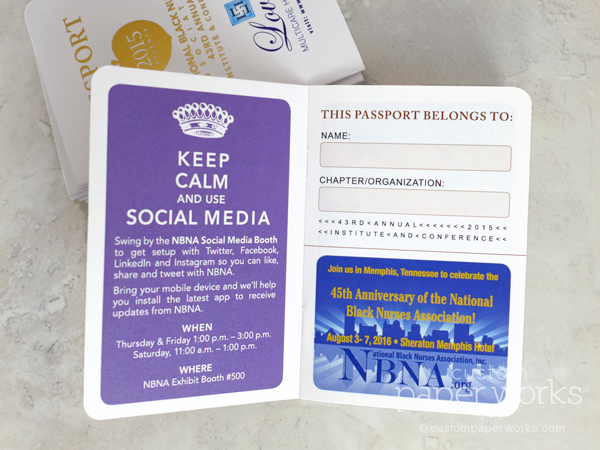 Each conference attendee received a book to collect stamps at each booth. 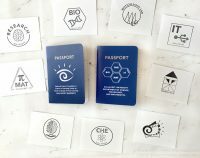 Once the booklet is filled, contest participants receive an entry into the Passport Raffle towards several great prizes! Books like these are great ways to encourage booth visits and add a fun twist to conferences. 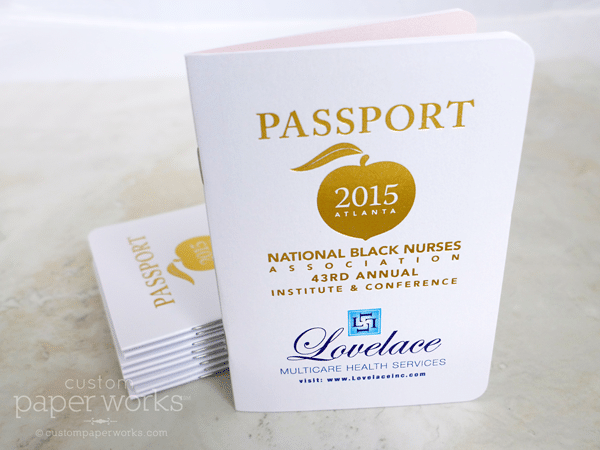 Inquire below for more info about our custom-designed passport booklets. 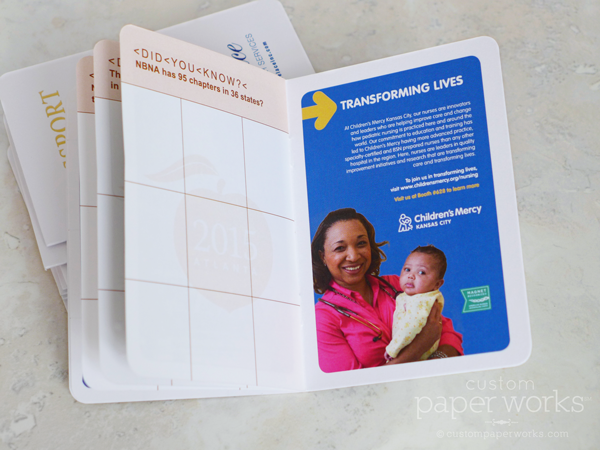 Passport pages design ©Custom Paper Works and ad designs © each respective company.